colwiz Web Importer is now live. Adding publications to colwiz library while browsing a scholarly website was one of the most requested features by the colwiz community. Now you can add publications from 33 scholarly websites with a single click from within the browser (FireFox, Safari, Chrome, Opera, Internet Explorer). It couldn’t be easier. Simply Drag & Drop this button to your browser bookmarklet toolbar. Import to colwiz ← Drag this to your bookmarks toolbar. Note: You can also right click on “Import to colwiz” button and select the “Add to bookmarks” option from your browser menu. Make sure you have the bookmarks toolbar turned on in your browser. 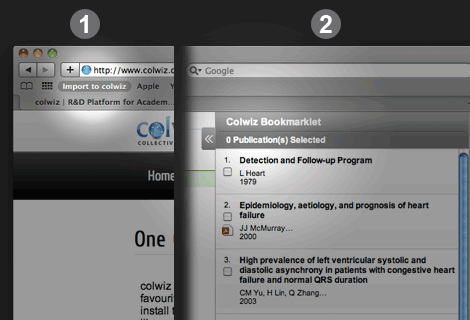 Go to any of these websites, search for publications, and click on “Import to colwiz” in your browser bookmarks toolbar to add publications to your library. 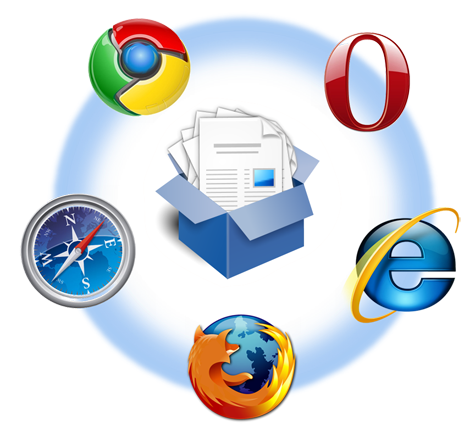 Web importer is the most flexible way to add research articles to your library. Of course you can also use the built-in browser in colwiz desktop to add publications or Drag & Drop files to your library.